Alexander Arrow came to Zelegent, Inc. from Biolase, Inc. (NASDAQ: BIOL), the world’s lead manufacturer of dental lasers, where he served as a President and Chief Operating Officer, a Director, and Chair of the Audit and Compensation committees of the Board of Directors. Prior to Biolase, Dr. Arrow was the Chief Medical Officer of Stanford-affiliated neuroscience company Circuit Therapeutics, Inc., and prior to that he spent five years as the Chief Financial Officer of cardiovascular device manufacturer Arstasis, Inc. As CFO of Arstasis, he worked with future Zelegent Vice President of Regulatory and Clinical Affairs, David Humbert, and future Zelegent Vice President of Engineering, Joe Paraschac. Before entering medical device manufacturer operating roles, Dr. Arrow spent nine years running medical technology equity research at three Wall Street firms, the last five years at Lazard. He also served as the Chief Financial Officer of the Patent & License Exchange, Inc. 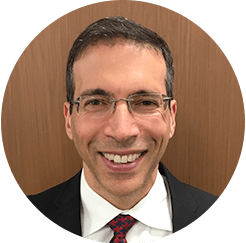 He has a medical degree from Harvard Medical School and began his surgical residency at the UCLA Medical Center before leaving clinical practice to go into business. David Humbert brings over twenty-five years of medical device regulatory experience to Zelegent, Inc., including managing successful approval applications of both active implantable devices like the WorldHeart left ventricular assist system, and minimally-invasive devices similar to Zelegent’s new tool. 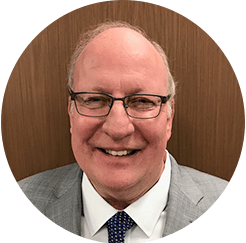 He first met Dr. Arrow when he joined cardiovascular device manufacturer Arstasis, Inc. and managed the 510(k) submission process for that company’s minimally-invasive vascular access device. Mr. Humbert’s career has included directing the regulatory efforts at Emphasys Medical and Arstasis, Inc. from 2007-2009, and supporting several Class III medical device submission projects for Oxford International and Black Diamond Networks from 2009-2014. He was Director of Regulatory Affairs at WorldHeart, Inc. from 2001-2007, a Corporate Consultant to the Regulatory Affairs group at Boston Scientific from 1997-2001, and supported the broad Regulatory Affairs function at Guidant Corporation’s Devices for Vascular Intervention, Inc. from 1990-1994. He was one of the first 500 regulatory professionals in the U.S. to earn the Regulatory Affairs Certified (RAC) credential in 1993. 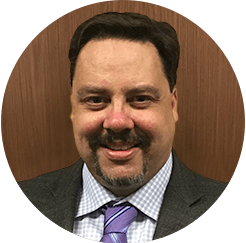 Rick Lilly brings 19 years of medical device engineering experience to Zelegent, with a career that has focused on bio-resorbable, implantable medical devices, like the Elevo™ implant. Prior to Zelegent, Mr. Lilly spent three years as the Director of R&D for Articulinx, Inc., a company developing a small joint flexibility implant. Prior to Articulinx, he spent four years as the R&D Engineering Manager for Transcend Medical, Inc., in which he brought the inserter for the company’s ophthalmology device from concept to clinic in just four months. Prior to Transcend, he was the R&D Program Manager at Apneon, Inc., a company developing a complex implantable anti-snoring device, where he took over for Joseph Paraschac. He similarly succeeds Mr. Paraschac at Zelegent, who was the engineer who refined the Elevo™ implant design before him, and one of the most prolific inventors in the field of sleep apnea and suture handling. Mr. Lilly is a named inventor on 11 issued medical device U.S. patents, including sutureless vessel plugs and ocular implantables, and holds a BSME degree from California Polytechnic State University. was one of the first 500 regulatory professionals in the U.S. to earn the Regulatory Affairs Certified (RAC) credential in 1993. 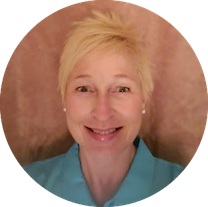 Sharon brings over 25 years of Quality management to Zelegent, with specialties in Quality Assurance and Regulatory Compliance, risks in product design, and post-market surveillance with Class II and Class III devices in domestic and international markets. Before Zelegent, she was most recently the Director of Quality Assurance, Breathe Technologies, in 2018. Before Breathe, she was Director, Quality Systems and Global Product Surveillance and Safety, Bausch & Lomb Surgical, from 2010-2017. Before Bausch & Lomb, she was the Director of Product Compliance, Davol, Inc. (a division of C.R. Bard) from 2008-2010, and before that an Associate Director of QA Global Compliance at Alkermes from 2006-2008. Before Alkermes, she was an Associate Director of QA Product Quality, CancerVax Corp. from 2004-2006.